Imagine having all of your sales or leads come organically to your business. That’s possible with good SEO copywriting. Seeing as 57% of B2B marketers agree that search engines generates the most leads, you’d be crazy not to jump on the wagon. But, how do you write content that performs well in the search engines? It’s an art and a skill you must develop, but I’m going to save you time today by teaching you how to write SEO articles step by step. Let’s start with a bit of background information to refresh your memory. It’s the practice of optimizing your website and content to be indexed by search engines like Google, and to out-rank competitors. It consists of two components: on-page and off-page. On-page SEO is what we’ll be focusing on today. It’s the heart of good SEO writing. There are best practices you’ll learn ahead that can be applied to every article you write to boost its rankings and the traffic it generates. On the flip side, off-page primarily consists of backlink building campaigns. This is used to build authority and referral traffic, and is a nice compliment once you’ve produced solid content. Now that you know what search engine optimization is, it’s simple to grasp what SEO writing means. It’s the process of writing content or copy while also applying SEO best practices. Content that ranks highly in search engines, attracts the right users to your business, and drives massive traffic. I remember when I was younger, SEO seemed so daunting and complicated. I’m sure a lot of gurus tell you that, but it isn’t. If you follow the steps ahead, I guarantee that you’ll see results and won’t feel so intimated by the on-page process. Keep reading. Before you write any SEO articles or copy, you need to research keywords. They are the foundation of what you’ll be doing later. All search terms are not made the same, however. There’s a deeper meaning behind every phrase that a user is typing into Google, and you need to understand it to maximize the effectiveness of your content. Informational: These are used to find information about a certain topic. Users that type these into search engines are looking for answers to questions, guides, tutorials, and other similar knowledge. Navigational: Brand and website names are often typed into search engines to find those properties faster. This is what we would call a navigational keyword. Transactional: If a user is interesting in purchasing a product, a transactional keyword like “Best mens shoes under $500” would be used, for example. It’s not rocket science to understand the intent behind a keyword. You just need to develop a bit of emotional intelligence and strengthen it like a muscle over time. With practice, this will become second nature. Now, let’s take a look at actually researching these terms. There are endless tools on the internet to research keywords, and one of the best ones is Ubersuggest. It’s owned by internet marketer Neil Patel, and completely free. Begin by entering a keyword in the search bar and hitting the search button. 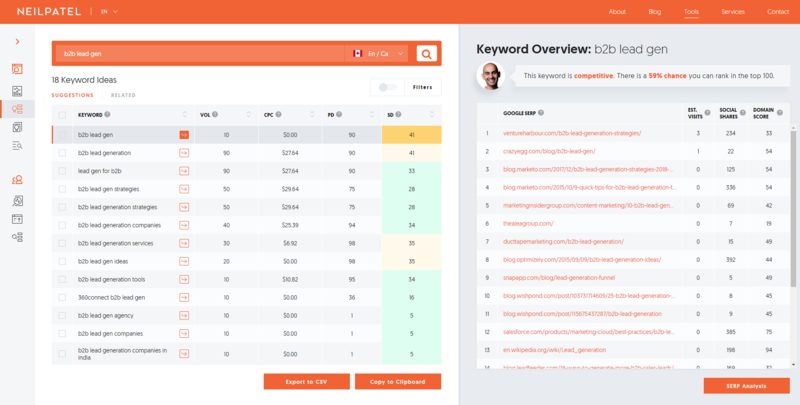 The next page will display the metrics for that individual keyword you looked for. The top bar shows the search volume per month, ranking difficulty score, PPC ranking difficulty, and the CPC. Since we’re covering on-page SEO, you only need to worry about the first two. It’s ideal to target a mix of low, medium, and high search volume keywords to get the best mix. Think of low volume and competition phrases as low hanging fruit from a tree. You can pick it easily, and there’s no reason not take it. Click the “Keyword Ideas” tab from the left sidebar to get ideas for similar search terms. Similar to the previous tab, the rows are organized by search volume and competition. You can copy any of these to clipboard or export as a CSV if you wish to organize them elsewhere. Make sure to take a look at the right, as well. Here you will find the best performing content for what keyword you entered. Use this to analyze competitors and produce better content, steal their other keywords, and gauge what’s viral. Every piece of copy or content you write needs to be centered around several keywords. This gives you the best shot at ranking and driving traffic. But, where do you place keywords? That and more is covered next. With the keyword research phase out of the way, we can finally get down and dirty. These are the best practices you need to follow to truly master SEO content writing. They’re not difficult or complex. You just have to make it a habit to apply these every time you write. I remember when I first began content writing around seven years ago, I would pump out about 400 words and call it a day. I thought that’s all it took to rank on the first page of Google, and that I’d be sipping piña coladas on a beach racking in the dough. Boy, was I in for a surprise. Long gone are the days that you could get away with short form content. Heck, it really hasn’t ever worked to begin with. On the contrary, Snap Agency found through a study that the longer content is, the more social shares it receives. Long form contentalso helps you rank higher on Google. Backlinko performed a famous study where they analyzed over one million search results, concluding that the average first position was 1,890 words long. This means that if you wish to rank higher than competitors and go viral, you need to produce longer content. It makes so much sense from a user experience perspective, too. Long articles pack more value, information, and resources. They allow you to elaborate much further on points, and overall helps the reader tenfold. It can seem daunting to type away thousands of words, so I highly recommend you take the time to craft an outline before you begin writing. Map out every point, sub-point, and idea that you’d like to cover. Collect resources and references to use along the way. When you begin writing, you already know what to speak about, and it makes the process much smoother. Awesome SEO writing is composed of little things that compound into big results, with internal/external linking being one of them. Vary your anchor text when you do this. Anchor search terms that you’re interested in ranking for, and as a rule of thumb, internal link to three pages per 1,000 words. External linking is similar, but acts differently in the eyes of search engines. Linking out to other authority websites acts as further resources for readers. Google and other engines like this because once again, it’s making the content more useful. However, linking to irrelevant websites can actually hurt your SEO. 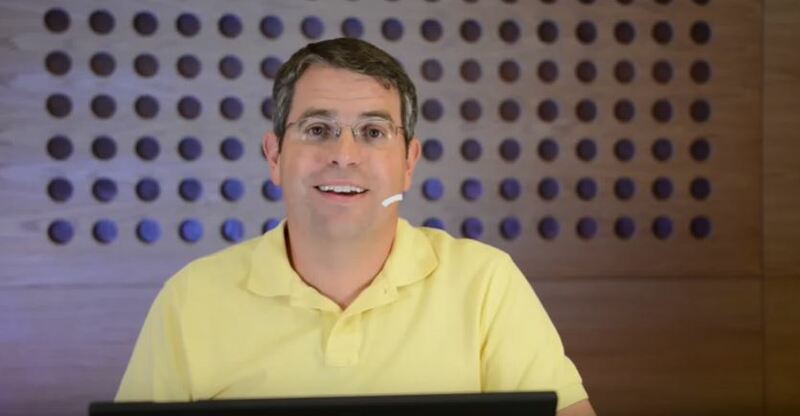 Matt Cutts, head of web spam at Google, spoke about this in this video. He also touches on how you don’t have to worry about this with internal linking. Remember all of those keywords you researched? It’s time to put them into action. Title: Use the keyword in the title of the article, video, podcast, etc. URL: If you can edit the URL like on WordPress, change it to the keyword. Search engines also favor shorter optimized URLs to begin with. Did you notice what the URL is to this blog post? Header tags: I’ll be touching on these a bit more, but you want to place keywords in header tags, as they are an area that Google scans for during the web crawling process. File names: Uploading an image, video, or other media? Make sure that you optimize the file name. Alt text: Alternative text is the string of characters that displays when an image can’t load or a visually impaired user has software that reads it for them. 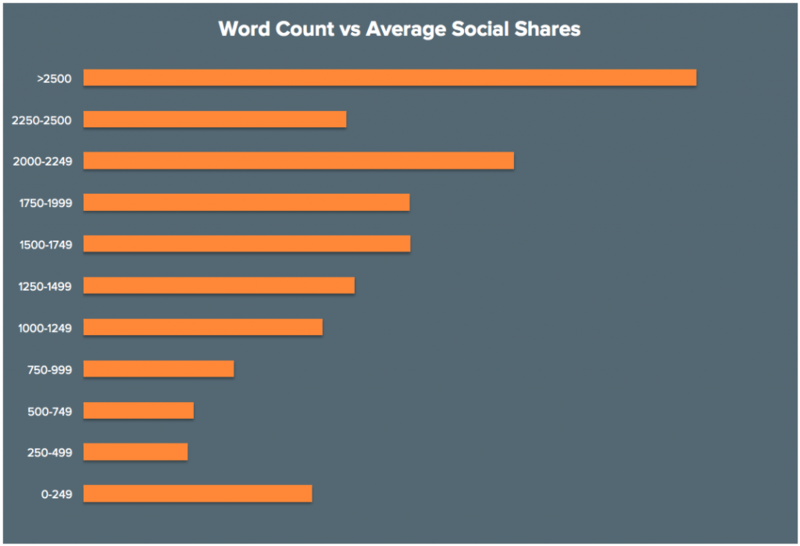 Body: For blog posts and similar material, keyword density should hang around the 2-3% range. This ensures that it’s only present a couple of times, and not stuffed. Meta description: While the meta description doesn’t directly help you rank, it does indirectly. Keywords placed in meta descriptions will bold, helping to increase the click through rate of your listing. A few years ago, Google launched the Rankbrain algorithm, which was a user experience focused update. It looks at metrics like bounce rate, average time spent on page, and the click through rate of your Google result. What does this mean for you as a marketer? It means that you need to format your content better, so users stay longer. This will directly affect rankings and performance in the SERPs. Short sentences and paragraphs: You’re not writing a newspaper. Keep sentences and paragraphs short. This makes the reading process easier, and allows you to elaborate on a single idea in quick bouts. It also visually looks a lot less intense at a first glance. Lists: Use bullet points and numbered lists to organize ideas in a easily digestible manner. Header tags: Use the H1, H2, and H3 tags to break your content down into bite sized chunks. 55% of people only spend 15 seconds on articles because they scroll through to find what they need and leave. Bolding and italics: Bold and italicize certain words and phrases that you wish to stand out. Fonts: Not every font is the same. Some have been made into memes like Comic Sans, and others are universally easier to read, such as serifs. Tweak the typeface and font size of your SEO article to make it easier to read. Did you know that 52% of marketers agree video content to have the best ROI? It has quickly become one of the most enjoyed formats of content on the internet. That’s why I highly recommend including videos in your SEO blog posts. This can be videos you’ve made or others you wish to share. Similarly, graphs, charts, and infographics are great for providing a visual resource. I enjoy throwing in the odd meme to increase entertainment value, as well. Mastering SEO copywriting will come with time, but you can jump-start your results by following what I outlined today. 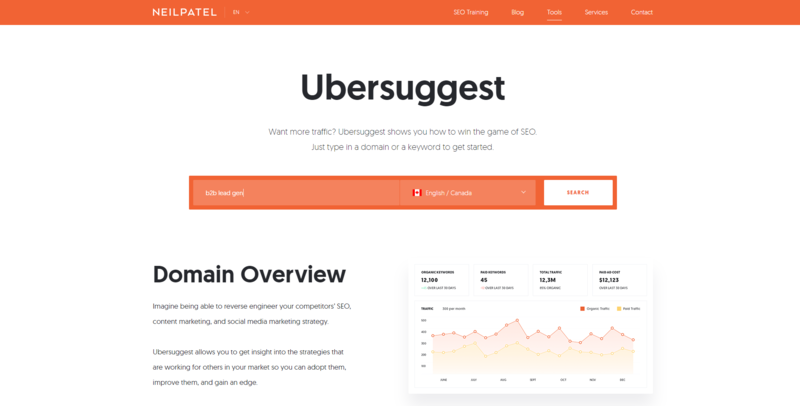 The first step is to research keywords with a tool like Ubersuggest. Narrow down a mix of low, medium, and competition to use. Remember that keywords are either used to find information, products, or a specific brand. When you begin writing, focus on achieving a word count around 2,000. This is proven to increase your rankings, and improves the user experience. Secondly, internal link to other web pages to keep users on your site for longer. Similarly, link out to other authority sites to offer further resources. Place keywords naturally throughout content, and in key areas like the title, URL, and meta description. Format articles to have short paragraphs, lists, and for better overall readability. Lastly, include interesting and entertaining images. You can make these yourself or source them from other websites. What tips do you have for writing better SEO content?